Read more about Here's To The Winners! Chorus Members: please return your badges to your Finance Coordinator so that a batch can be returned together saving everyone some postage. Things are gearing up in beautiful Daytona Beach for this year's convention and contest. Please visit the convention page for details on activities, contestant stage times, ticket information, etc. Visit our webcast site here if cannot join us in person! Its free but we need your help to keep it that way! Join us in beautiful Daytona Beach, Florida for our 2019 Annual Convention & Contest - Harmony on the Beach. The convention begins with the Thursday Night Live show at the Hilton Daytona Beach Resort presented by the Top Hat Club. 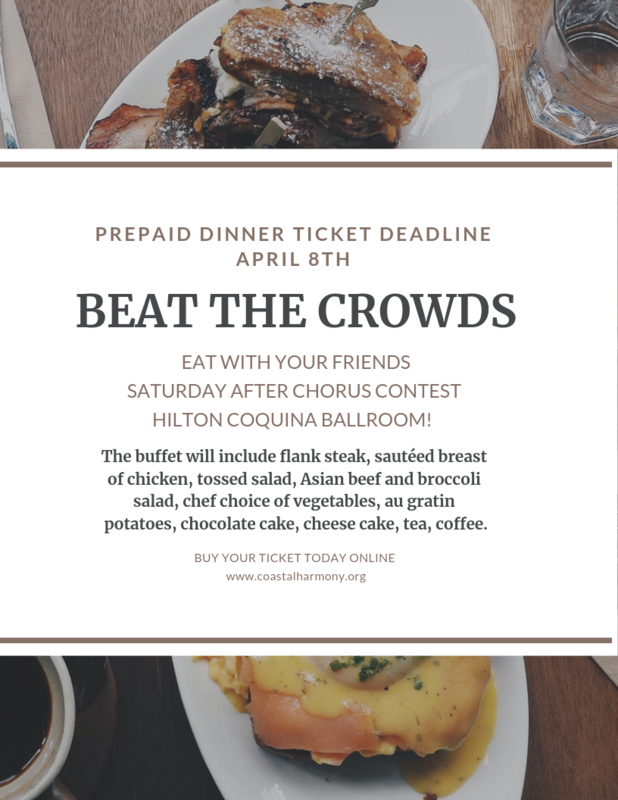 Friday, April 11th offers an exciting quartet contest with 24 competitors and an appearance by the 2019 Sweet Adelines International Silver Medalists: Viva! This record-breaking Coastal Harmony champion quartet will also be singing an outgoing package at the conclusion of the quartet contest, and we hear Viva!’s USO show is making a stop on our Saturday night show at the Hilton. Sweet Adelines Convention 2018 St. Louis! Wow, what a convention! Coastal Harmony Region 9 was so very well represented at the Sweet Adelines International annual contest 2018 in Saint Louis, MO. The week opened with Women of Note chorus competing in the Mid-Sized Chorus Contest, “Harmony Classic”, placing 5th overall. International Division Chorus Semi-Finals Contest and placed 19th overall. 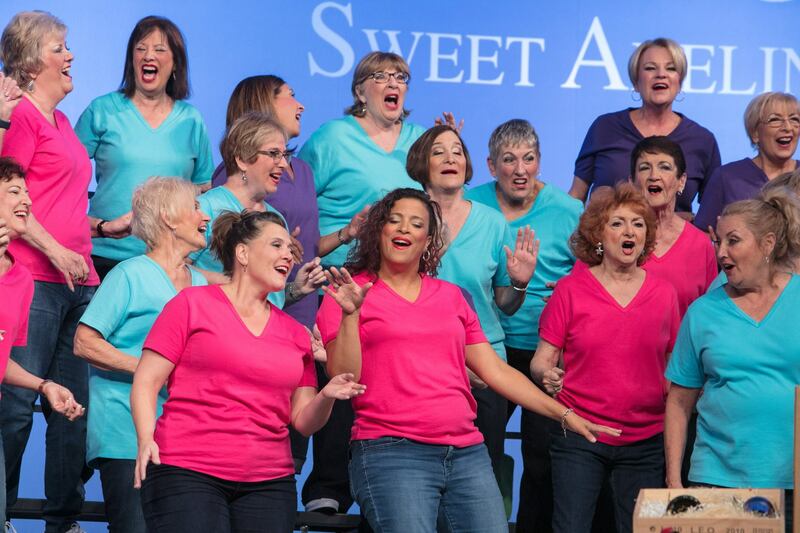 Read more about Sweet Adelines Convention 2018 St. Louis! Read more about Faculty Announcement 2019 Winter Workshop! Read more about Barbershop Is Coming To Town! Coastal Harmony is a proud sponsor of the annual Sunshine District youth barbershop program. This year’s theme is “An Evening on Broadway”. The clinicians for this event are the famous and talented Tony DeRosa for the boys and Debbie Cleveland for the girls. 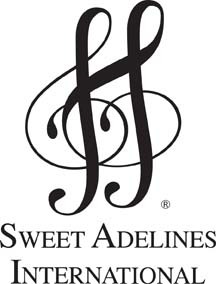 Special guest quartet is Adrenaline, 2017 Sweet Adelines International Rising Star Champions! Please visit https://www.sunshinehx.org/about-hx-camp.html for more information and to purchase show tickets for Saturday night.